Governors appointment and commission to the Southern Nevada Veterans Cemetery Advisory Committee for the state of Nevada. 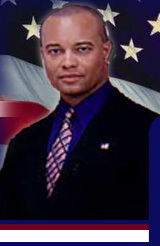 Internet Talk Show Host for www.AllTalkRadio.net "Veterans In Politics,"
Owner of Aggressive Collection, Inc. d.b.a. Aggressive Business Consulting www.DebtCollections.us. Director / Chaplain for Veterans in Politics International, Inc.
Former Columnist for the Las Vegas Tribune "The Veterans View"
Former Credit/Legal Manager for the Fronteer Directory Company of Nevada, Inc.
Resident Agent and Partner for Aggressive Collections, Inc. Member of Nevada Seniors Coalition, Inc.